Aloha and welcome to our Big Island getaway. Our Villa was purchased in March of 2011 and is a part of the Waikoloa Colony Villas located within the exclusive Waikoloa Beach Resort. Located just eighteen miles north of the Kona Airport, this premier Resort is known for its central location to beautiful beaches, shopping and upscale dining. If you enjoy golf, there are two courses available within the Waikoloa Beach Resort, the Beach Course and the King’s Course. Colony Villa 2204 has been completely renovated incorporating classic Island style with contemporary comfort. Our philosophy while renovating was simple; create an atmosphere that will leave lasting memories for our guests by investing in our community. That is why you will find original carvings, furnishings, and artwork designed and created by local artists and artisans for your enjoyment. You will find our Villa to be comfortable and quiet with views of swaying palm trees and the Mauna Kea Observatory in the distance. Our Villa is a two story unit; you need not worry about people above or below you. With two private Lanai you can be assured of a shady retreat any time of the day. Ceiling fans adorn every room giving you the option of utilizing the amazing cooling powers of the trade winds. Beyond the local flair you will notice new tile, carpet and fresh paint. There is a fully equipped kitchen featuring granite countertops and all new, quality appliances. FREE WIFI AND PARKING. If you prefer to dine out, you will find our Villa to be within walking distance to the Hilton, home to Kamuela Provision Company, Kirins and Imari. For those looking for a more casual dining experience there is the Boat Landing Pavilion, Lagoon Spoon and the Lagoon Grille where you can eat while being entertained by the Dolphins of Dolphin Quest. Continuing on from the Hilton you will discover the Kings Shops with upscale shops and restaurants including Roy’s, Merriman’s and the Eddie Aikau Restaurant and Surf Museum. You can enjoy live entertainment and cultural events as well. Kiddy corner from the Kings Shops you will find the Queens Marketplace with Hawaiian memorabilia, food court and the Island Gourmet grocery mart. Centrally located to A Bay, Hapuna and Mauna Kea Beaches and the Puako Petroglyph Archaeological Preserve, whatever your interests; hiking, snorkeling, fishing, sunbathing, horseback riding or visiting the Hawaiian Vanilla Company for High Tea, you will find the Colony Villas to be a premier exclusive resort community. We were skeptical about staying on a golf course- its not usually the way that we like to vacation, but after two other vacation rentals on this ten day vacation I can say this was my favorite. It was super clean, super comfortable and very baby friendly! There was a pack and play and a baby chair, plus kids plates and cups. It was really welcoming. The only thing I disliked was the fact that you had to download an ap to access the codes to the property AND find a email in your inbox to get the key code- it was a little extreme. " This condo fit our needs perfectly. Very clean with nice beds. Everything was well stocked from kitchen utensils, pans etc.. to beach gear. Pool area was lovely also. i would recommend this property to friends and family. " "Very nice vacation and lovely home. Lovely home with everything we needed for our vacation. " It was above average but have had better." Our first stay in Big Island and such a beautiful decorated and over well equipped home !!. This made our vacation perfect. We stayed for 6 nights (2 adults and 2 teenagers). The Colony Villas community is very clean with a nice pool and barbecue area. Beaches are in short driving distance. Highly recommended !" Amazing condo, well furnished, well decorated, like been at home. Just like in the photos! Easy to organize with rental company. This was, by far, the greatest Hawaii home rental my husband and I have ever experienced. The location was lovely, the home was updated, comfortable, and welcoming. From amenities to appliances to details -- the owners thought of everything. I loved staying in this plush, quiet home." We had 4 wonderful days at this house near the beach. It was very clean, with many convenience staff and big space for everyone. It was not so easy to go by walk by the beach; so its necessary to use the car." A very nice place to stay on the west side of the island. Plenty of room and conveniently located near shopping and restaurants within a few minutes walk. The decor was very nice and furniture comfy. Wonderfully quiet at night with birds that wakes you in the morning. Very relaxing place to stay." Jan 17, 2017 - Robert P.
Kitchen supply's to bedding and beach towels, all we needed to get was food and drinks. Beautiful villa great location, walking distance to pool and weight room. Management was very reaponsize to all our questions and very helpful. I would recommend villa 2204 to everyone and anybody going to Waikoloa. " Our stay was wonderful. So many wonderful amenities provided at this property." This was the perfect spot! Everything from the sheets to the details on the silverware was so nice! The most comfortable beds too! We had such a good time we are already planning our next trip. Location was great and the area was very nice." The location and amenities of Waikoloa Colony Villas is outstanding. The unit certainly had enough room and was well equipped. The only disappointment was the condition of the carpeting throughout the unit. " Oct 11, 2015 - Scott P.
My husband and I were in Waikoloa for a friend's wedding. All the other guests stayed at the hotel, but we rented this condo - best decision we could have made! This gorgeous unit is fully stocked with cooking essentials, towels, linens, and beach toys. We wanted for nothing. All we had to do was hit Costco, unpack, and enjoy a carefree 9 days on the beach! We're already talking about booking the same place on a return trip. Mahalo!" Everything as described and in great condition, everything provided and very quiet, definitely recommended, look forward to staying there again!" May 15, 2015 - Ray M.
I would recommend this Villa to anyone wanting a clean, stocked, comfortable, and quiet place to stay. It is a place I could live in permanently, if so lucky." Jan 05, 2015 - Lori N.
Enjoyed my stay! Very clean and comfortable! I want to do it again:)"
Jul 30, 2014 - Louanne O. We stayed at this condo and we very pleased with the location, amenities, pretty much everything. We would definitely stay there again and would recommend it to anyone who wants to rent a place in Hawaii." Jul 01, 2014 - jim r.
Our stay was very pleasurable. We definitely will plan to return again. " "Great location, great property, great management professionals! The north-east exposure of the property was not ideal, as it had little direct sun light throughout the day, but being in proximity of great beaches and Waikoloa shopping amenities made our vacation an excellent one!" Apr 23, 2014 - Vincenzo C.
Loved the place. Clean, and in great condition. You can tell the owner takes pride in the place. All the finishing touches made it more than a "rental" condo. From the custom cabinet handles to the very comfortable beds. It was a beautiful home away from home. One minor flaw was the parking. We couldn't park in front the condo because of the layout of the units parking area and although there is a reserved spot nearby someone else parked in it. " Jan 11, 2014 - Bryant M.
The condo was well decorated and furnished, making my son's stay there very comfortable. The kitchen, dining table and living room were conveniently arranged and perfect for eating and entertaining. The beach equipment in the closet also came in very handy (beach chairs, umbrella, boogie boards, beach toys). It was a very enjoyable stay, close to the Queen's Marketplace and King's Shops." Would do this again. Like being at home. Great beds." Aug 28, 2013 - Mark D.
"A wonderful home away home! The condo was beautifully decorated, had lots of high end features (appliances, computer, tv's) and was squeaky clean! Just a wonderful place on a beautiful island. Would highly recommend. " This place was the best stocked rental we've ever stayed in. The decor was gorgeous, the pool was fantastic, the kitchen was stocked with high-end tools, and the closet was full of great beach toys. We had an amazing stay." Great place and perfect fit for our group to base its hawaii vacation. We'll be back when we can. " Mar 31, 2013 - Charles J. Came for a wedding with a small group and we had a great time. Couldn't have asked for more!" "Great property in a great location! We had a lovely stay at this condo from Feb 2-9/13. This was absolutely one of the best-stocked condos we have ever stayed in, in terms of kitchen spices, supplies etc. Made for some delectable meals! The pool area and BBQs were well maintained and very nice, and the property staff were also very friendly. The condo itself was very spacious with nice furniture and appliances etc. Having the desktop computer and printer was also a bonus as we could print out our boarding passes for the return flight home! The beds and linens were also very comfortable. The location was very quiet -- we didn't hear any traffic noise, or noise from other units, or even from other rooms within the condo (great for when our daughter went to bed earlier than us!). It was a short walk to the Hilton where our convention was (about 15 minutes), about 25-30 minutes to the Marriot where we attended a luau, and about 30-35 to Queen's shops if you walk all around the ring road (a bit shorter if you cut straight across through the golf course). We also walked to A-bay beach one day along the oceanfront path in front of the Hilton etc. and that was about 45 minutes, a bit rocky in some sections though. The only downsides of our stay were that we had to leave! Minor things: The door handle to the downstairs storage closet (well stocked with boogie boards, beach chairs, coolers, etc.) was loose and kept falling off. Also, the pack & play we had rented for our daughter was not there when we arrived, but was quickly delivered after an email to the propety managers. Thanks everyone for a great vacation! We would definitely return here again. "  "Excellent service and a great place! Loved the place! It was clean and well appointed. Service was great and we will both recommend the place and be back again!" Exactly what we were hoping for-a quiet retreat with excellent decor and amenities! Mahalo!" We especially enjoyed the quality of the bed, it was just like being at home in our own comfy bed. The kitchen was well equipped and we made use of the blender. Loved the ice maker in the fridge, however the fridge was set so cold it froze some of our produce. We turned it down a few degrees. The kitchen was stocked with coffee, filters, spices and condiments, which we really appreciated! We hope to come back with family and friends and stay longer next time. The pool and community BBQ were nice to have. We enjoyed the computer and used it every morning while we planned our day. The condo was a good location for exploring the north end of the island and close to some shops and restaurants. Cushions for the hard chairs would have made it perfect. Mahalo." Dec 17, 2012 - Tara C.
It was nice to be away from the traffic. We were within waking distance of the shops. The pool and hot tub were awesome. One night they fill the gas for the grills so there was no propane to grill. Just need to check ahead of time. The unit stated sleeps 8. We had 6 and one had to sleep awkwardly on the couch. Only floor space left! Even so we would definitely contact kohala coast properties again first for our big island stay. It truly was our home away from home.Aloha and mahola." We were very happy staying here for three nights and wish we could have stayed longer. We would have except the unit was previously booked. Very clean. Decorated beautifully. Well stocked home and kitchen. Preparing meals in the kitchen was fun and inspiring. The elevated open kitchen made me feel like I was on a cooking show. The bed was very comfortable and linens were extremely soft; we slept soundly. Location of this condo is private as the lanai looks out towards Kohala and empty lots next door. We live in Kona and this was our Wedding Anniversary Get-Away. We brought our beach cruisers with us and had a great time biking around Waikoloa and enjoying the beach, shops and restaurants. The pool at the Waikoloa Colony Villas is very nice; and we did use the gas BBQ there, very convenient. We will return for sure! " Oct 25, 2012 - Pualilia P.
We loved our stay and visit to the Big Island. We would stay there again and not not wait to come back. This is now our favorite island." Sep 17, 2012 - Patrick N.
We had never undertaken a Condo rental before and had never taken a vacation of this type before (30 days in an exotic location). Our fears lasted through the early negotiation on location and price, but then it became obvious that Kohala Coast Properties were a very professional Organization and that the Property Managers Marisa & Alesia were wonderful and attentive individuals who only wished to serve us as new clients. 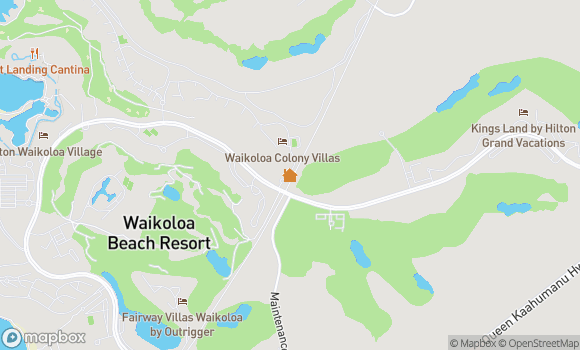 We loved working with them and we loved unit 2204 at the Colony Villas for its location (a little away from the main hussle and bustle of Wiakoloa Beach Resort), and for all its amenities. Hawai'i is a wonderful/magical Island and Waikoloa Beach and Village are a great place to enjoy the magic. We will go back and we will work with Kohala Properities to ensure a positive outcome for our time in Hawai'i. I rate them five stars. Aug 17, 2012 - Sam E.
We had a great relaxing stay in this modern condo with all the amenities to play, cook, snorkel, and party. Great location and access to beaches and island. Overall wise decision. " we enjoyed our visit, condo was fantastic it met all our expectations we will be back, enjoyed the weather and the big island"
Feb 16, 2012 - Ross M.
We stayed here in December with our two young children and had a great time. The property is well maintained with new appliances and comfortable beds and the gated complex is also very well maintained. There were some good recommendations from the management folks and we had a great stay. It is not a beach front property, but it's a 3 - 5 minute drive to A Bay and 15 minutes to Hapuna. Overall, perfect for us and we hope to come back." Dec 27, 2011 - Harold B. The place was really great. Furnished well and all amenities were fantastic..I would highly recommend this particular vacation rental. Nice quiet location but within a good distance from the area's restaurants and shops. Dec 24, 2011 - April U. We had a great stay at the Waikoloa Beach Resort. Our condo at the Colony Villas was beyond our expectations. Thanks Marisa for your help with the internet, etc." Oct 19, 2011 - Brenda B., Kamloop, B.C.